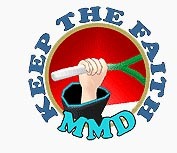 How do I make an MMD animation from scratch? How do I use my inspiration to create an animation? A while back, I got a bee in my bonnet to make a nice MMD animation from scratch: I wanted to animate a baseball pitch. 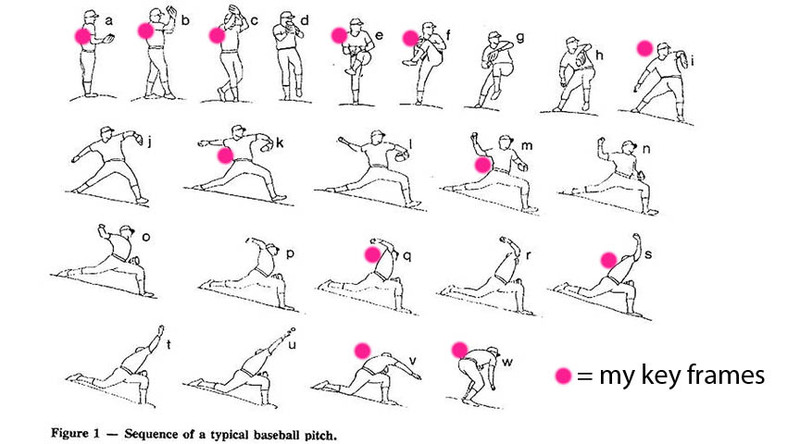 I did some research on Google and found a nice sketch showing the pitch process, step-by-step. I chose to use the Meiko that is included in our MMD download… her lack of those Miku-sleeves and her short skirt allowed me to see all of her joints as I worked to position each bone. I spent most of a whole day animating that simple moment… not so simple, really… LOTS of motion with the model stretching and twisting. …and the timing is VERY important. 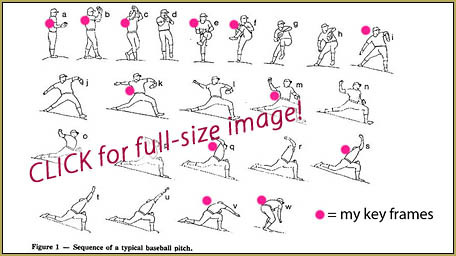 That little sketch does show the positions but not, so much, the time between images. I used myself as a model as I followed the moves in that sketch and attempted to notice how long each phase of the pitch required. 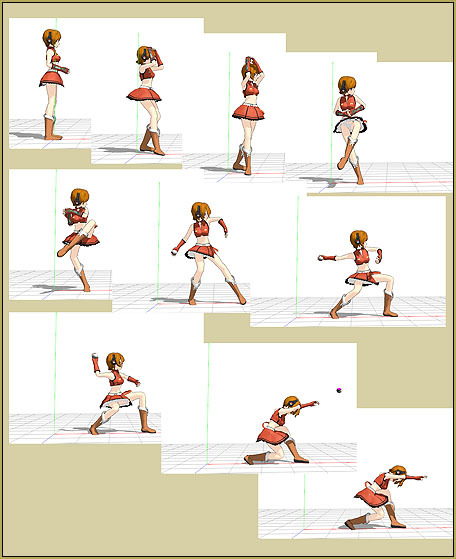 I took my time as I moved almost all of the main bones for each hard-point in my animation… and then went back in-between those key-frames to modify the motions to better match the sketches. And… at the end of the day, there were still many more tweaks that I needed to do… but… enough was enough! I decided to add Kaito as a target (I never miss a chance to wallop Kaito!) so as to add a bit of plot to my animation. I made a series of videos showing “The Pitch” from all sides… and then used Windows Movie Maker to string them all together into a finished video. 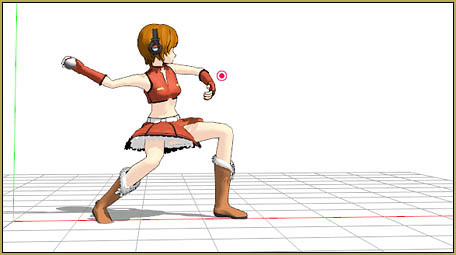 That animation has some rough edges… like Meiko’s right shoulder after the pitch! … I could not figure out why that shoulder was poking up into a point. … but… time was up, so be it. … and then the follow-through and the final motions as she stumbles forward, a little, so as to stand up, again, should have been smoother. I believe that I could have tweaked that animation for another whole day and I contemplated just starting over from scratch… but… there it is. Done. I searched for a royalty-free “Take me out to the Ball Game” and found that mp3 of the organ music. I used Audacity to add the applause track (using an old WAV from earlier projects) and then cut and chopped the bits of song so as to fill the time I required for the video. Again… could have been better, but I was on a mission to just get it done. So… flaws, fun, and all… close to two days, off and on… and my little joke is finished.